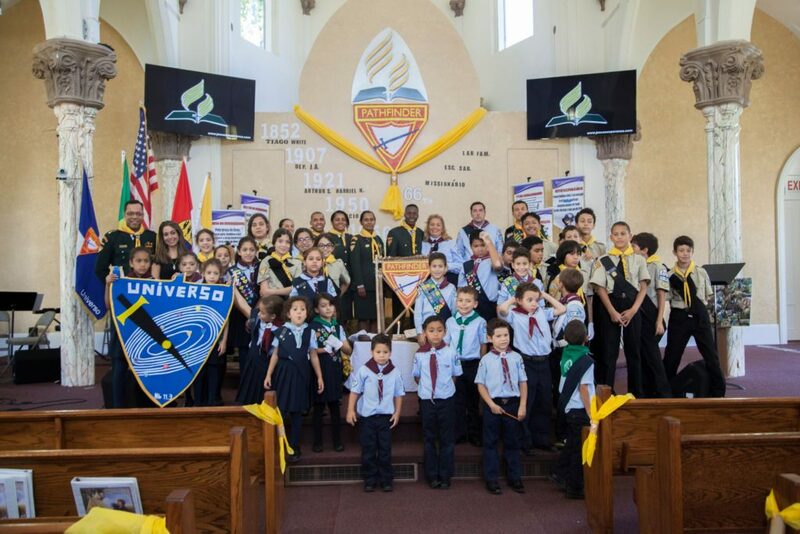 The Universe Pathfinder Club celebrated National Pathfinder Day on September 24. 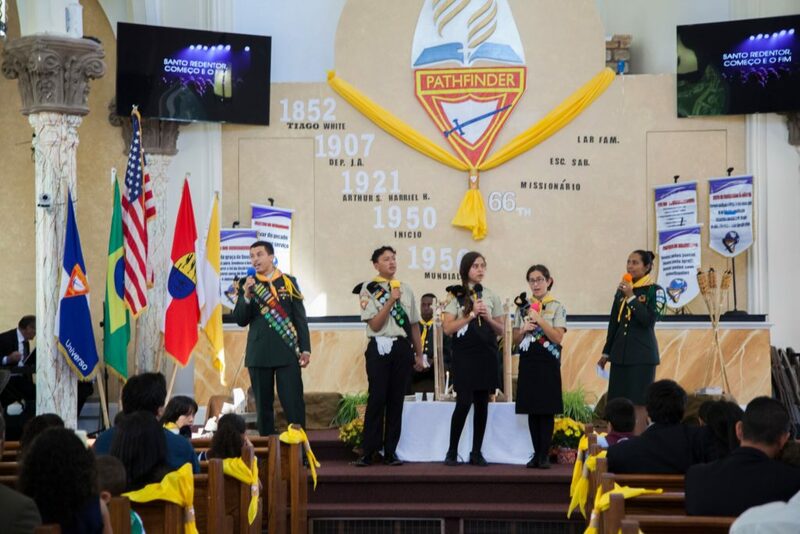 Pathfinders is a worldwide organization of young people sponsored by the Seventh-day Adventist Church, which has worked since 1950 to promote the cultural, social and religious education of children and teenagers ranging from 10 to 15 years old. 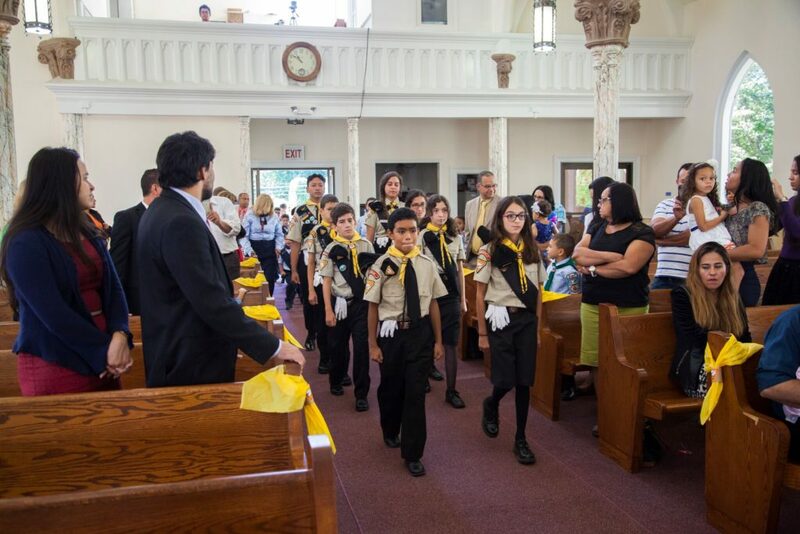 Children, youth, adults and special guests like Representative of the Consulate General of Brazil in Hartford, Juliana Pangaio, attended the celebration that started at 9 a.m. at the Brazilian Adventist Church of Danbury/Bethel, located in Bethel. 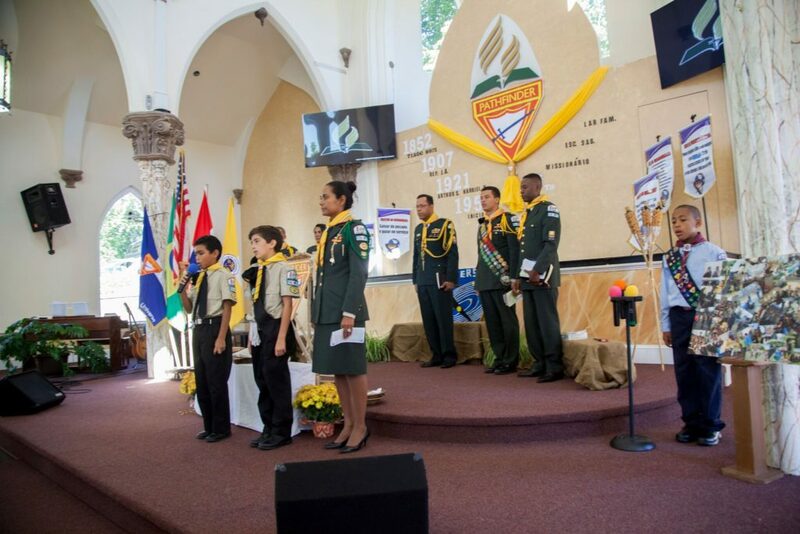 The Pathfinders opened the ceremony with member Brandon Costa, 10, sharing with attendees important dates that marked the beginning of the Pathfinder Club in the United States, where the movement originated. Nicolas Santos, 11, read the Bible passage 2 Timothy 4:7-8 and spoke about the importance to finish everything we start with dignity and honor. 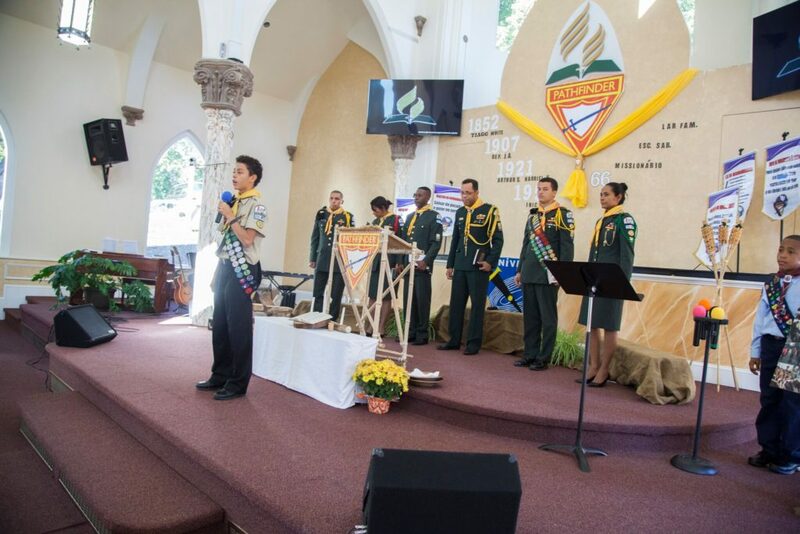 Young Bryan Costa, 14, shared his happiness and the importance to be a Pathfinder, and to evolve to be a useful instrument to God, your family and all of society. Pr. Claudinei Candido Silva, a veteran leader in Pathfinder work, spoke about “being saved to save others,” and told the story about Peter’s experience when Jesus walked on the sea (Matthew 14:22-23). He highlighted that “God wants to do big things with our children, and use them to do good. But, Jesus asks us the same thing He asked Peter, who was saved, to do: ‘Feed my sheep.’ Children are our little sheep who need to be taught useful skills from the beginning of their lives. That is certainly something we can do at the Pathfinder Club,” he said. According to Lilian Campanha, mother of Pathfinder Nicolas Santos, the club activities are very important for her son’s development. 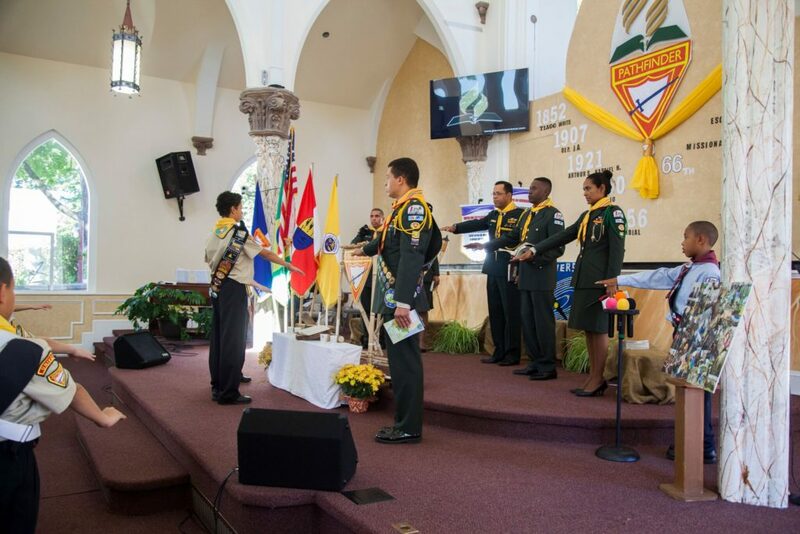 Pastor Paulo Sergio Silva, another veteran leader, responsible for the Adventist Churches of Danbury/Bethel, and Waterbury, believes that, nowadays, the work of the Pathfinder Club is essential to our society. “The impact that the Club has in the lives of the children is almost immediate, for it teaches concepts that are fundamental in the formation of one’s character,” he concluded. For those who are interested in registering their child in the Pathfinder Club, registration opens in the first week of October and continues until the beginning of November. 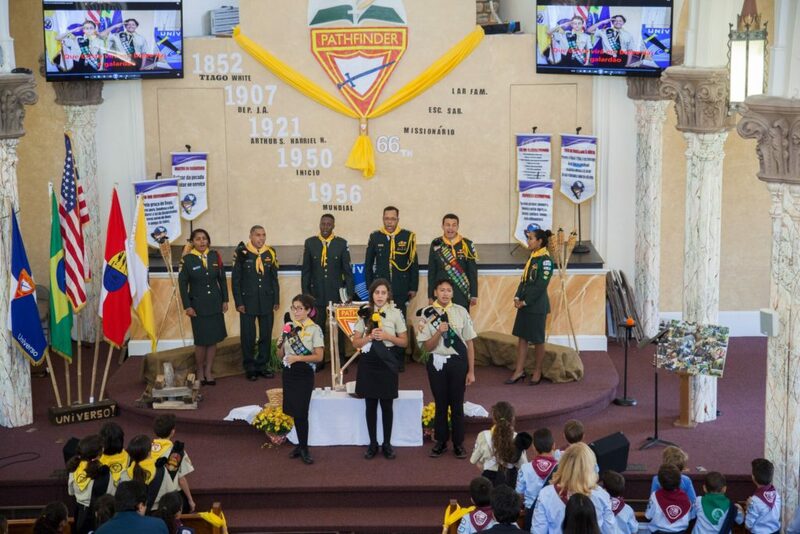 To recognize the participation of the Pathfinders in the Brazilian flag-raising ceremony, held on September 4, Tribuna Newspaper partnered with Elmer’s Diner to host a dinner for all Pathfinder members on September 22. About 40 children and youth, along with Club directors and chaperones, were in attendance. Restaurant owner, Elmer Palma, was the guest speaker and was delighted to host the children. “It was beautiful to see how the children are raised and educated,” he said.